Gathering Hope provides community and resources to women after pregnancy and infant loss. Pregnancy Loss is lonely, but you aren’t alone! Gathering Hope is a collection of people who have been touched by pregnancy and/or infant loss and are committed to connecting families to the available resources, communities and support structures to help bring about healing and comfort. We believe that Christ gifts us with the presence of one another as a source of hope and comfort on this side of heaven. 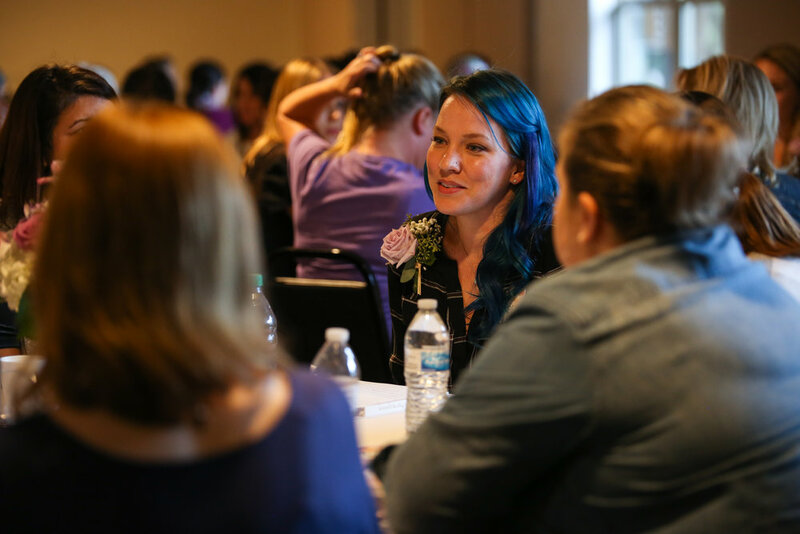 Our annual gathering serves as a catalyst for moms to begin forming relationships, our private Facebook groups help women support each other online, and our resources include counselors or other support organizations, all compiled to help in navigating this journey. We’ve seen the power of community and how it makes a difference. Remembering our children together lifts the burden of carrying grief alone and our hope in Jesus gives us the strength to not just survive, but thrive. Together. Sign up for our emails to be the first to know about upcoming resources, gatherings, and encouragement. By clicking the button below, I understand I'm signing up for the Gathering Hope email community. Thank you for joining our email community! Igniting hope through Christ, equipping strength, and gathering community for survivors of miscarriage and infant loss.